With the turn of the calendar to October, the world has gone pink once again! We know that the color pink is not magical, but rather powerful. Every pink ribbon represents a willingness to create awareness for breast cancer, especially early detection. Pink is the rally color that unites supporters and survivors that team up to beat breast cancer, and it is the color that honors the fight of breast cancer warriors, whether the battles were won or lost. Our mother, whom we now lovingly refer to as Mother Sapphire with the creation of the Opal and Ruby blog, is a breast cancer survivor. She received her diagnosis in February of 2012. 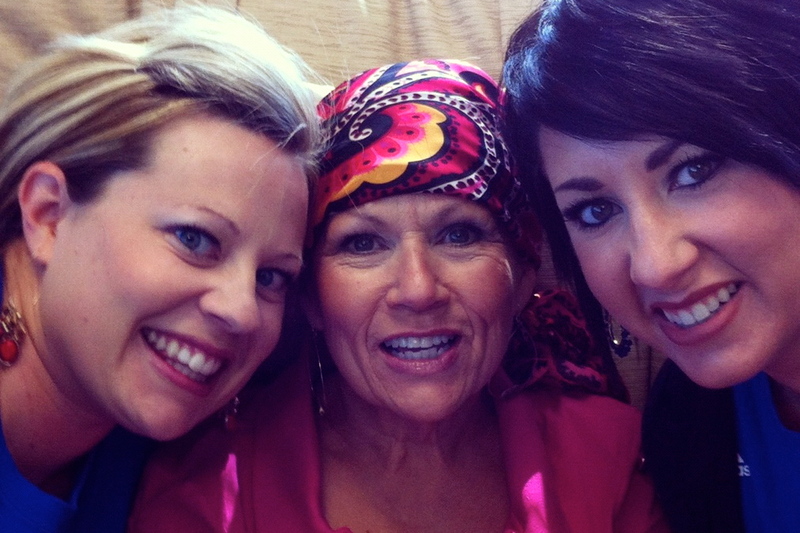 After a mastectomy and aggressive doses of chemotherapy, she is now cancer free! We are not naive to think that fundraising efforts of private donors and major corporations to breast cancer research did not effect Mother Sapphire’s breast cancer journey. Each year…each month…each day…each hour…there are new developments in the fight against breast cancer. And for that we are grateful! There are so many companies that have joined the fight against breast cancer, and give to organizations that are fighting the good fight. Their willingness to create awareness with their products helps spread the message of early detection, education, research, and fundraising. These products go beyond the pink ribbon, but still make a big statement. We support and salute all breast cancer survivors and pioneers, and those we’ve lost who create a greater fight in us all. This is a cause near and dear to our hearts, and if it is for you as well, here are a few ways that we can give to keep the research going!